Cookley Sports Club is never short of food, whether you want your usual crisps or confectionaries, or want to try out our latest special additions. Our new fridge has allowed for us to stock locally produced homemade pork pies and scotch eggs. These certainly have had people eyeing up our new machine so get one before its too late! The scotch eggs also include specials of black pudding and apple & stilton. Children are loving our slushee machine, whether they want red, blue or a mix of the two they certainly, keep them quiet. Adults are also keen to try these and sometimes get adventurous with spirits! It’s worth the try. Cobs have always been popular at the club and the bar Steward has expanded his range. Is it a beef, ham, cheese or cheese & onion you want? That’s up to you, if you would like these with some salad the staff are happy to make it for you. 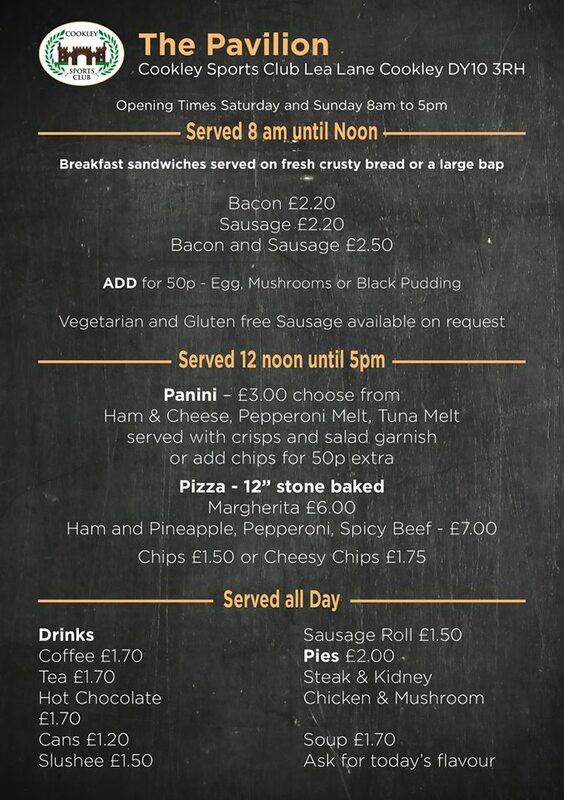 Bacon sandwiches are available Saturday and Sunday from 09:45 in the morning till 12:00 at noon unless sold out. Also available at the same times, is our Soup of the Day. 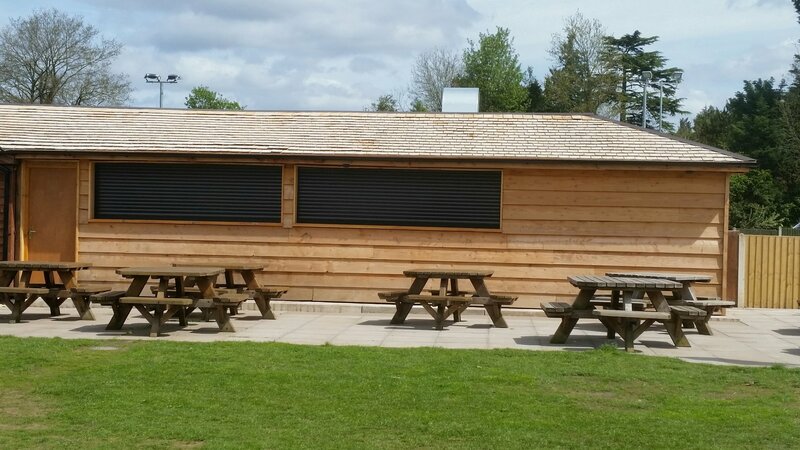 NEW FOR 2018 : Our servery, ‘The Pavilion’ at Cookley Sports Club will initially open on Saturdays and Sundays from 8am until 5pm. We will be offering the much loved Cookley Burgers aswell as breakfast baps, panini, stone baked margherita and pepperoni pizzas with or without fries and our wonderful creamy ice cream and cooling slushees.